MISSISSAUGA, ON, January 22, 2019 – Kellogg’s* Special K* is taking a stand on women’s health and introducing Escape the Nonsense, Canada’s first interactive pop-up of its kind that invites Canadian women to ditch the nonsense on their health journey and own every bite of life. Developed in Canada for Canadians, Escape the Nonsense is the latest instalment of the #OWNIT* movement, inspiring women to ditch the doubt and trust their instincts on their lifelong journey to live life at full strength and be their best selves. With nearly half of Canadians feeling guilty when they eat foods they don’t consider healthy1, Special K is encouraging Canadian women to bid farwell to the diet and fitness fads and celebrate their individual power to choose health and happiness. Through a series of themed installations, Escape the Nonsense will invite attendees to free themselves from the disorienting, overwhelming obstacles they face every day on their health journey and actively allow them to leave the clutter behind. No nonsense allowed. For a limited time only, Canadians are invited to journey through this one-of-a-kind, two-day pop-up experience at 5 Brock Avenue in Toronto on Friday, January 25, 2019 from 10 a.m. to 7:00 p.m., and Saturday, January 26, 2019 from 10:00 a.m. to 6:00 p.m.
Can You Escape the Diets, Gimmicks and Fads? Want to see every diet, fad, and exercise you’ve ever tried in one room? Escape the Nonsense offers guests a unique, multi-sensory journey where they will touch, taste, see and snap as they venture through a series of highly visual rooms. Staying true to Special K’s values, this latest initiative is designed to be disruptive and impactful – sparking an important conversation with Canadian women about the power they hold over their individual health journey. Featuring eight interactive rooms, Escape the Nonsense is designed to include tactile and interactive experiences, lively colour palettes, immersive textures, sophisticated lighting and special effects, together creating a powerful and compelling story that inspires women to #OWNIT. In keeping with Special K’s commitment to empowering women to live life at full strength, Escape the Nonsense celebrates women’s ability to decide for themselves what fuels their potential. It shares a message that will inspire, empower and motivate women to take control of their health and wellness decisions and own what they’ve got. The one-of-a-kind interactive experience also highlights the importance of good food choices and deciding for yourself how to best fuel your confidence. Through education and food innovation, Special K is helping champion female nutrition and encouraging women to confidently trust their instincts when it comes to their health journey. Special K helps women ditch their food doubts by including only no-nonsense, wholesome ingredients in their products. Made with real ingredients that Canadians can see, there's no more second guessing with Special K cereal and bars. 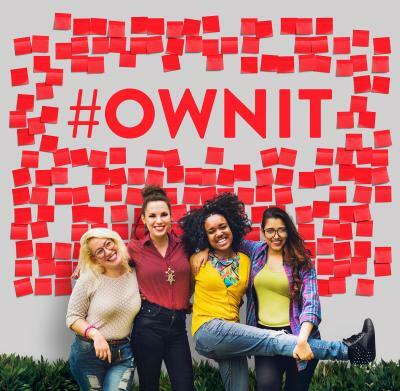 Canadians are invited to join the conversation and empower women to own every bite of life using #OWNIT and @Specialk_Ca on Instagram and Twitter. * © 2019, Trademark of Kellogg Company used under license by Kellogg Canada Inc.
1 Source: Wong-Li, C. (2017). Attitudes Toward Healthy Eating. Retrieved from https://store.mintel.com/attitudes-toward-healthy-eating-canada-january-2017.